"I could not have been more satisfied with the service provided by Trey Manderson." "Trey is a knowledgeable agent that is determined to make buying real estate stress less for the customer." "Trey is a true professional"
"I would highly recommend my agent. He was most helpful, which was very appreciated since I am a widow." "I have bought 3 properties using Trey as my agent. He always does a great job." "Trey could not have been nicer to work with." "There is no doubt that Trey’s hard work and attention to detail was instrumental in the rapid sale of our beach house." "We could not be more pleased." "I was very pleased with Trey’s expertise regarding real estate." "Trey was recommended to us by Mike and Sally Cosgrove. Trey sold his house and Mike and Sally were pleased – so were we with his service." 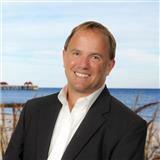 "Trey knows the Pensacola Beach market top to bottom and knows how to advise his clients in all aspects of buying and selling." "Trey was very professional and helpful. Your company will certainly be my choice for any future real estate transactions." "Trey is an outstanding person that was very sensitive to our needs." “Trey’s knowledge of the market and his insight into our personal desires and long term goals were why we chose to sell when we did." "This was our 4th transaction with Trey. When dealing with Trey and his staff, we have come to expect great communication and results." "Trey is very professional, but personable. Trey is a great asset for your organization." "Trey was very helpful and made sure everything was going smoothly even after we closed."